The following is a list of upcoming events at Mandir. 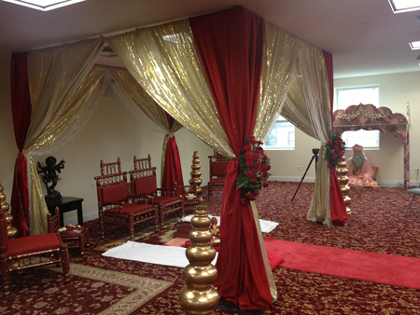 Click here to join Mandir mailing list to receive update on upcoming events through email. Please Note: To sponsor a Langar for any upcoming event or Sunday, Please contact Mandir office at (718) 899-8863. Reserving a langar sponsorship for your favorite event well in advance is recommended to ensure availability and to avoid disappointment. You may also check this website for Langar Sponsorship availability. 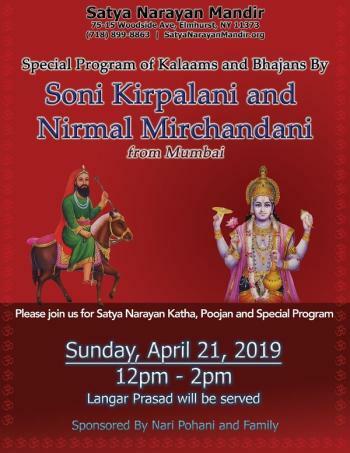 Satya Narayan Katha, Poojan and special program of Bhajans and Kalaams by Soni Kirpalani and Nirmal Mirchandani. 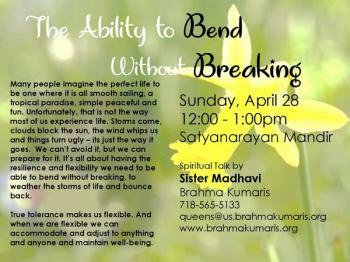 Time: 11am to 2pm followed by Langar Prasad. Please Note: Sponsored by Nari Pohani and family. Time: 4pm to 6pm followed by Prasad. Time: 11am to 1:30pm followed by Langar Prasad. 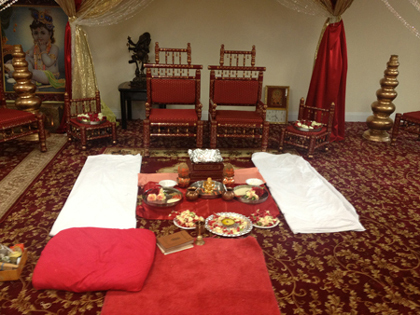 Every Day, there will be Aarti in the Mandir (9am and 7pm). 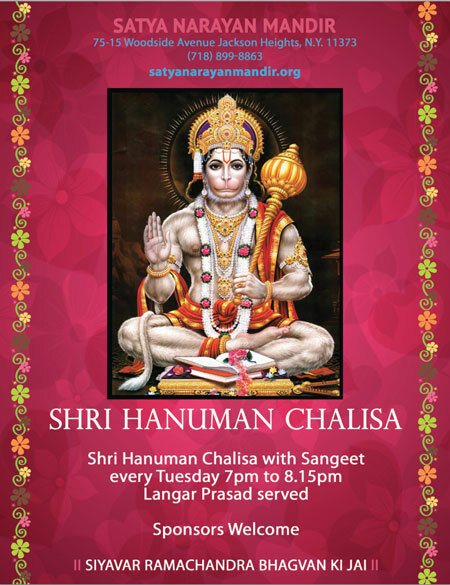 Every Tuesday, there will be Shri Hanuman Chalisa in the Mandir from 7pm to 8.15pm followed by preeti bhojan. Sponsors welcome. Every Sunday Aasa Di Var and Satsang/Kirtan program 11am to 1.30pm followed by langar prasad. Sponsors Welcome. Every Sunday following Purnima, there will be Satya Narayan Poojan, Katha and Aasa Di Var Program 11am to 2pm followed by langar prasad. Sponsors Welcome.